An unclear Resolve breaks empathy and trust with the Audience. There can be no better way to alienate an audience than to write a story where the Main Character’s personal issues are either unclear or not even there at all. James Cameron’s latest spectacle, while entertaining and fascinating to watch, is the latest example of a film without a center. Poor Jake Sully. His legs don’t work. But what is even more tragic, at least to people who care about great stories, is that his throughline is equally as paralyzed. This shouldn’t be. The Main Character is the most important character in any story. To weaken the structure of a story by diminishing one of its most important support beams, only guarantees an eventual collapse in the minds of those who wish to inhabit it. In other words, write a Main Character we can care about. As covered earlier this year in the article Redefining Protagonist and Main Character, the Main Character of a story is not necessarily the Protagonist. Besides offering a writers a chance to write something unique, this concept also makes it easier to determine with greater accuracy where the problem in a story might be. Jake’s role as Protagonist is solid. He pursues the goal of saving Pandora from corporate destruction as he weighs the pros and cons of doing so. As an Archetypal Character in the spectacle that is Avatar’s main story line, Jake succeeds. His role as Main Character, however, is not as clear cut. When it comes to explaining how a Main Character should operate in a story, there can be no better example than that of Luke Skywalker in Star Wars. Though not as complex or as deep as say a Hamlet or Salieri, Luke’s throughline as Main Character functions well in its simplicity. Luke’s personal problem centers around the huge chip he has on his shoulder in regards to his abilities as a pilot. From the very beginning, Luke wastes no opportunity to offer himself up for scrutinization from others. “I’m not such a bad pilot myself” and “I used to bullseye womp rats in my T-16 back home” are just two of the many lines of dialogue that reveal Luke’s deep-seeded insecurities towards his own skills. That constant voice in the back of his head that keeps telling him he isn’t good enough is the source of all his personal turmoil. Because of this, Luke’s arc calls for him to grow to a place where he can be more trusting. Turning off the targeting computer and letting go, as Ben instructs, is a clear sign that Luke has become more trusting. Comparing the Luke at the end of the film with the one who just wants to go to the Tashi station to pick up some power converters, it becomes clear that he has undergone a major character transformation. Like Luke, Jake started out with a major chip on his shoulder, “I wanted to prove to myself that I could undergo any test.” Paralyzed from the waist down, Jake too seems driven to apply for any opportunity to prove his worth. The story seems engineered from the get-go to give Jake that crucial dilemma during the climax: Should I take the new legs, or should I fight along with these people? But that monumental question never arises. Sure, there is lip service paid to it in the few moments he spends with Colonel Quaritch (Stephen Lang), but those scenes feel more like held-overs from a previous draft rather than key components of the story’s central argument. In fact, this whole business with his legs kind of falls by the way side, almost forgotten—at least, thematically—so that we could concentrate on the more important transformation of character, that of Neytiri (Zoe Saldana). 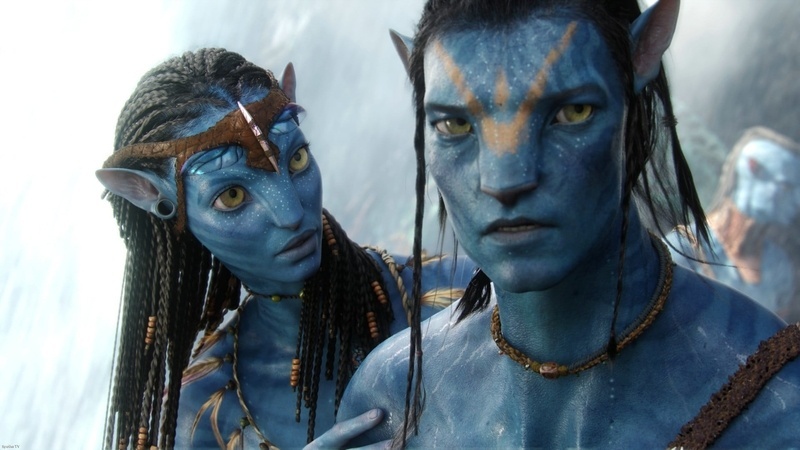 While Avatar starts out as a film where the Main Character will undergo the major significant change, it ends up being the kind of film where the Main Character sticks to his guns in an effort to transform those around him. Braveheart, Gladiator, and The Fugitive are just a few of the many films where the Main Character’s growth ends up changing others, rather than themselves. Jake’s relationship with Neytiri is all about bringing her to a place where she can accept that a “sky person” can be a source for something good in her world. When any film begins, an audience implicitly places their trust in the authors to deliver something of substance. When certain potentials are set up, as in the case of Jake’s dilemma regarding his legs, the audience expects a certain outcome to be played out. They may not know how he’ll answer that question or what the outcome will be, but they do expect it to come. Unfortunately, Jake never grew to a point where he could trust in something else; he never had an opportunity to turn off his own targeting computer. Instead, that need to trust fell into Neytiri’s throughline, needlessly breaking the structure of the story and destroying any trust the audience had that the film would deliver a concrete and meaningful story. Solving this structural problem would have been a very easy thing to do. Jake should have resisted joining up with the Space Marines unless there was no doubt that he would have his real legs returned to him. That promise, the promise to walk again, should have been at the core of his storyline and the subject matter of many scenes. This drive to improve his physical condition should have been at the heart of his personal journey and a constant source of struggle for him. Working for the blue side then, would have seriously jeopardized his plans for the future. By taking this approach instead, when the decision comes to decide which side to fight on, Jake would be faced with a very meaningful dilemma. We would have been wrapped up with the turmoil running through his head and would be seriously affected by his ultimate choice. Unfortunately, it isn’t handled in this way and explains why they story seems so impersonal to so many. Broken structures lead to broken audiences. When someone mentions that they didn’t care about the movie, or that they felt strangely indifferent to the events that unfolded on-screen, this error with the Main Character is the reason why. The Main Character is the audience’s way in to the events of a story. It is the character they empathize with the most, the one they become for two hours, and the one they are most personally attached to. If the issues or structure surrounding that character become unclear, the audience’s interest wanes—along with their emotional investment. In this regards, Avatar is not any different than the animated film 9 from 2009. In that film, the Main Character’s personal issues were left so undefined that audiences found it hard to become swept away with the narrative. Avatar had no problem sweeping audiences off their feet, but it became more of an amusement park attraction rather than a piece of compelling narrative fiction. One cannot argue against the ticket sales, but there is criticism to be had over how poorly the engine of the story operated. The ride, while fun and exhilarating, ends up leaving one empty and strangely disassociated. In the end, it is simply spectacle without meaning. Avatar is unique in that it sets up Jake as a Change Main Character, but then very quickly makes him a Steadfast Main Character. Once he gets his blue legs, there really isn’t much left for him to decide and not anywhere for his storyline to go. In addition, it is quite obvious that Neytiri, as his Impact Character, is the one with the most meaningful Change (as described above). Taking a look at the Dramatica Table of Story Elements, we see that the Dynamic Pair to Test is Trust. The relationship between the elements of such a pair are extreme opposites, they represent the greatest dramatic shift. When a Main Character has a Problem with Test, employing Trust becomes the Solution to those problems. In Change Main Characters this Solution appears during the last Act of a story. In contrast, Steadfast Main Characters do not end up using their Solution to solve their problems. It might appear from time to time in a story, but when all is said and done, they remain driven by that original Problem. In Steadfast Main Characters, the Problem is seen more as a source of their Drive rather than a problem they need to overcome. Sully started out as a Main Character who would eventually need that Solution in the final act, but then quickly changed to wouldn’t. This switch confuses the eventual Reception of the story, thereby clouding any intended meaning. It’s as if the carrier wave of story structure for Avatar became overrun by static and dropouts. Clear story structure ensures a clear and comprehensive broadcast.